A former Kentucky jail guard was convicted of beating an inmate and leaving him lying with blood on his face, until another jail employee saw the victim and he was rushed to a hospital and pronounced dead, officials said on Friday. A federal jury deliberated for an hour and a half before returning the verdict late on Thursday against William Howell, a former deputy jailer at Kentucky River Regional Jail in the town of Hazard, the U.S. Department of Justice said in a statement. The panel found Howell guilty of excessive force and of ignoring the inmate’s injuries and he faces a maximum sentence of 10 years in prison for each criminal count when he is sentenced on Aug. 16 at a federal court in London, Kentucky. Howell, 60, and another guard beat inmate Larry Trent, 54, on July 9, 2013, after he was booked on a charge of drunken driving. It started when the two guards opened Trent’s cell door to remove a sleeping mat. Trent ran out and the jailers punched, kicked and stomped on Trent before taking him back to his cell, where Howell kicked Trent in the head while he lay on the ground, the Department of Justice statement said. An autopsy found Trent died of a fracture to his pelvis that caused hemorrhaging and from blunt force trauma to his head, chest and limbs. Damon Hickman, the other guard, pleaded guilty last year to depriving Trent of his legal rights and falsifying records for his role in the beating, according to court records. He has not yet been sentenced for those convictions. DO PRISONERS HAVE THE RIGHT TO LIFE? Recently I watched a Conservative/Catholic news station on TV. There was an interview with the executor of a religious political group. I failed to write down the names. There was a video of a meeting he participated in with Trump. This man’s concern was if there was enough protection for the right to life beginning at conception. I understand people are very divided on this issue and each side has their own reasons. This is not about that debate. Although I see validity in each reasoning, neither side is going to convince the other. This is my question. Do people – after they are born, have the right to life as well? Who cares about these babies after they are born that were forced to be born, especially to people who don’t want them, don’t give them up for adoption, abuse and neglect them and life gets no better from there. Where are the right to lifers then? What have these people done beyond wanting the babies born? Which of these children have they helped love, feed and protect from harm? Words are cheap and have no value. Let me carry this a little father. Do prison inmates also have a right to life? If a man who is deathly ill that needs a programmed regiment to stay alive have the right to have that regiment followed in prison, because if it isn’t he will die – and he does, in a very short period of time? 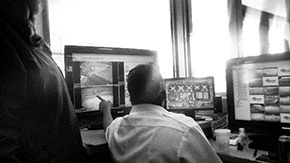 Does Corizon, a prison medical corporation have the right to claim they aren’t responsible? It’s not their fault? Really? You will find this article further down. There are many examples of prisoners who obviously also don’t have the right to life. Their lives don’t matter. Why? They were conceived. They were born. Many are imprisoned by being forced to take a plea. Many are imprisoned longer than they should because of mandatory minimums. Many are innocent, and many are guilty. Many are mentally ill, and many should never get out because they are dangerous, often made that way by inhumane treatment while they are locked up. Isn’t that criminal. My experience is with what Jamie, the man at the center of my writing, has been through with epilepsy. He knows what seizure medication works best in controlling his seizures and they won’t supply it. I tried to intervene and talked with the medical unit to no avail. One separate problem he had diagnosed concerning his heart – pericarditis – wasn’t being treated. When I questioned them about the medication he was supposed to take I was told, what problem? It had been taken out of his file completely. That’s an easy way to get rid of an illness – erase it. Further down the newsletter are some examples of what the medical corporations get away with, as well as poor medical care in the jails and juvenile detention centers. It’s inexcusable. Where are the right to lifers now? These people started out as babies. Many babies born now will end up in foster care. 80% of prisoners were raised in foster care. That percentage is scary high. The right to life should apply to everyone. It is not just about unborn babies, it’s about human beings. More people need to be aware humans come at all ages. No one should be swept under the carpet. When I started the ITFO newsletter during 2016 it was for a couple reasons. It is important to me to help educate people on issues with the prisons they may not know about. Sometimes, on the facebook page, JamieLifeInPrison I will get comments that show me the person didn’t understand what was going on. But maybe that person didn’t know anyone who went through the system and relied on what certain media outlets telling people what they wanted them to think. They would write comments like, ” If they don’t to get treated badly, they shouldn’t have committed a crime.” or “If they do the crime they have to do the time.” That means they are unaware of how unfair our justice system is toward non-whites. It doesn’t mean there are no whites inside, but the percentages of the population on the inside should mirror the percentages on the outside – unless they believed the propaganda that black people have a gene that makes them more likely to commit a crime, which is bizarre, unless you were racist and wanted to believe it..
We are learning now, through other things that are happening in our government that it takes people getting mad and standing up, to change the wrongs that are happening. The youth stood up during the Viet Nam war, but for the most part a large segment of society has not fought back against injustice. Now this government wants to make criminals out of protesters because they don’t want people to fight back. This time, finally, people aren’t laying down and taking it. Do you remember the movie years ago, I think it was called “Network”? Everyone opened their windows and yelled outside, “I’m mad as hell and I’m not going to take it anymore!” That is how I feel. People in the prisons are being hurt, abused and starved. When the effects of that treatment causes medical problems, or if they entered the prison with illnesses and they get away with not giving them the proper care they deserve as human beings, it makes me angry. I have seen what that inhumanity has done. don’t call that living. I feel the only true legacy we leave behind is the effect we have on others. If it helps change someone’s life and they carry it forward then that part of you lives on. Jamie Cummings has been a part of my life for over a decade. We came into each other’s lives for a reason. It hasn’t been one-sided. I have witnessed him growing from a boy to a man, helping to teach him things he didn’t have an opportunity to learn. I teach him hope. I teach him it is up to him to create the life he wants and not just let life slap him around. He knows I will be there for him when he gets out. Unfortunately, society is not forgiving of x-felons. It is like the word ‘felon’ is tattoo’d on the forehead. Even if a sentence is completed they often have to keep paying. I am doing my best to write a book worth reading, one that will bring benefit into his life – and mine. Through the sales, and this is book one of 3, it has the possibility of helping him get the education he needs and possibly using the books to get through the doors where he can help others with his experience. There are books written by inmates about the crimes that put them in prison and even how bad they were during the years in prison, but that is not what this is about. It is about the human element and how those children raised in lower income neighbors have been pushed down the pipeline created for them with the end result already written for them, filling a prison bed. This book examines that pipeline from the first breath he takes. Chapter one takes place sometime in a present year in prison to set the stage of where he ended up. Chapter two goes back to his birth, which was traumatic because he was having an epileptic seizure coming out of the birth canal and wasn’t expected to live. Book one goes until age 22 when he is sent to prison. The second book is more detail of prison until he reaches close to getting out. Book three is the process of getting out and what happens after. Obviously it will take some time before all books are written. I hope enough interest will be created for people to want to find out how he fares and what he accomplishes. He was first locked up before he turned 17. He is now 34. He will be almost 40 when he gets out, so book three will take him into at least his early 40’s. I need your help. I’m hoping you will share this with people on your own social media accounts. I know many of you share blog posts from his blog at mynameisjamie.net. I need very much to keep increasing my mailing list to reach people who are not already connected to me somehow. Anytime you share a newsletter or a blog post you have my sincere appreciation. When the book is done, those people on the list will be able to get the ebook version for free. In January 2016, in a case called Hurst v. Florida, the United States Supreme Court held that Florida’s death penalty scheme was unconstitutional and violated the Sixth Amendment, pursuant to its decision in Ring v. Arizona. The Court held that Florida’s statutory scheme was flawed because it failed to require the jury, rather than the sentencing judge, to make findings of aggravating circumstances relied upon by the state to justify imposition of the death penalty. Ring first established that principle in 2002. On remand in Hurst, the Florida Supreme Court followed the Supreme Court’s mandate and further held that to be constitutional under both the federal and state constitutions, the death penalty statutory scheme must require unanimous findings by a jury on aggravators, as well as to a recommendation of death. Because the Florida high court relied upon the Florida Constitution, its decision on unanimity is not reviewable by the U.S. Supreme Court. State high courts have the final say on state constitutions. What may be overlooked in the aftermath of these decisions is the shocking fact that after the decision in Ring v. Arizona in 2002, some 47 persons have been put to death in Florida under an unconstitutional process. And while many may assess the blame as falling on Florida’s three branches of government for not acting after Ring to correct Florida’s statute, it is apparent that a large share of the blame rests with the discretionary review procedures of the U.S. Supreme Court. Let me explain. Following the decision in Ring, many Florida death row inmates petitioned the Florida courts, including the Florida Supreme Court, to apply Ring and invalidate Florida’s death penalty scheme. However, relying on prior U.S. Supreme Court decisions generally upholding Florida’s scheme, Florida’s high court denied relief. But many of these disappointed death row inmates sought further relief in the U.S. Supreme Court. Surprisingly, despite the clear holding in Ring, the Court inexplicably rejected these appeals, until finally, the Court accepted review in Hurst and specifically held Florida’s scheme unconstitutional under Ring. These many unexplained denials also sent a false signal that despite Ring, Florida’s scheme might be valid. Tragically, in the 13 years since Ring, some 47 persons have been executed in Florida under an unconstitutional statute. Had the U.S. Supreme Court accepted review of a Florida case soon after Ring, those executions may arguably not have occurred – at least not until further review for harmless error, waiver or some other possible argument by the state was first evaluated. But none of that took place. Of course, the U.S. Supreme Court has absolute discretion in deciding what cases to review. And ordinarily those decisions cannot be challenged. But, surely the exercise of this discretionary review authority should take into account the fact that lives hang in the balance. As the high court itself has observed, “death is different.” Or is it? Harry Lee Antstead is a retired justice and Chief Justice of the Florida Supreme Court. 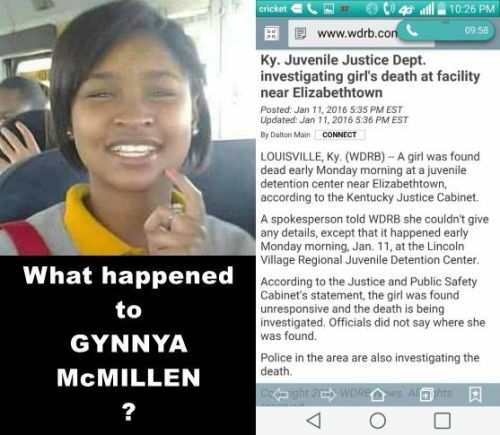 What Happened To Gynnya McMillen? HAZARD, Ky.—Larry Trent was just one of the 154 or more inmates who died in a Kentucky jail during the past 6½ years. Arrested on July 5, 2013, in his car outside a Hazard doughnut shop, the 54-year-old Trent told police he drank “about four beers and mouthwash” before driving to the store with his 10-year-old grandson. Booked into the Kentucky River Regional Jail, Trent couldn’t post bond, so he remained in custody. Four days later, he was dead, allegedly the victim of a fatal beating by two jail deputies. Within 48 hours of Trent’s death, jail Administrator Tim Kilburn completed a required report for the state Department of Corrections and classified Trent’s death as a homicide. And a few weeks later, the two deputies were charged with manslaughter, accused of killing Trent by “striking, kicking and restraining” him. The case is still pending, and a federal civil-rights investigation is ongoing. But Trent’s estate already has received a $2.375 million legal settlement — one of the largest in the state during the past 15 years. The Department of Corrections doesn’t investigate jail deaths. “That would fall to law enforcement,” said department spokeswoman Lisa Lamb. The department’s responsibilities do, however, include ensuring the safety of inmates and staff, as well as enforcing jail standards, such as those related to training. But DOC documents provided recently to the Kentucky Center for Investigative Reporting give no indication that the department found anything related to Trent’s death that merited its attention. For example, the documents list Trent’s cause of death simply as an “altercation” in the jail. An internal DOC memo written after Kilburn’s report says little except that Trent “became combative” and that “use of force was necessary” to subdue him. And although the accused killers served as the jail staff trainers, department records don’t indicate a need for more or better training. Trent’s is by no means the only in-custody death involving a jail inmate that raises questions about the aggressiveness and thoroughness of Department of Corrections’ oversight. A months-long investigation by KyCIR found that at least several inmate deaths for which the cause is listed in DOC records as “natural, “unknown” or “autopsy pending” appear to have involved jail staff lapses, misconduct or indifference. And the Department of Corrections’ own findings and follow-up in those cases were sketchy or nonexistent, despite evidence that the deaths were preventable. Over the next five days, the “Trouble Behind Bars” series will show numerous Kentucky jail inmates have died or been injured because officials at all levels of government failed to ensure their health and safety. The causes of more than 40 percent of all Kentucky jail deaths in the past 6½ years are listed ambiguously in department records, with the cause of death variously given as “unknown,” “natural” or “autopsy pending” — even though many of those deaths occurred years ago. When KyCIR recently asked the department for more current, specific information about the unclear, years-old causes of death, DOC responded that it had none. The department refused to say whether it followed up on jail deaths, and if not, why not. In another case, the DOC list of deaths shows that Valerie Jones, a disabled veteran, died of “heart disease” after being jailed in LaRue County in September 2009. But a lawsuit filed by Jones’ family alleged that she was not properly treated for severe pain, and that she was left in her cell when she desperately needed medical attention. More than five years later, DOC records still list the autopsy in her case as “pending.” The lawsuit was settled in 2011 for $92,859. 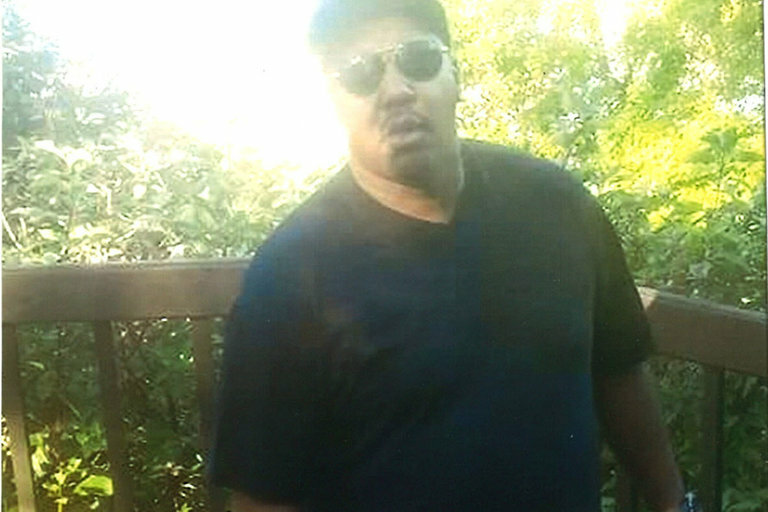 Danny Burden in the summer of 2012, less than a year before his death. The death of Danny Burden isn’t listed at all in the department’s compilation of jail deaths. Burden was discovered unconscious in the Grant County jail in March 2013 and later died at an area hospital. A civil suit filed by his family and alleging neglect is pending. A state police inquiry found that Burden, a diabetic, badly needed insulin but did not receive it. The Department of Corrections, however, found nothing to warrant concern — or action. The department would not comment on the omission of Burden’s death from their list of jail deaths. A KyCIR examination of the Grant County jail, one of the state’s most troubled and the focus of a U.S. Justice Department investigation for more than a decade, shows lax government oversight and little action following Burden’s death and at least two others that seemingly could have been prevented by jail staff. During the past 6½ years, a Kentucky jail inmate has died an average of about once every 15 days. But in-jail deaths generally are not of interest or concern to the public at large, said Louisville attorney Greg Belzley, who has filed several dozen lawsuits over the past 15 years alleging wrongdoing in connection with inmate deaths. In Kentucky, the DOC’s incomplete death data show that at least 33 of the 154 deaths have been suicides. Suicide is the single-most frequent cause of deaths in jails across the country, and it has been for at least the past 15 years. itions can exacerbate or trigger those mental-health issues, said Preston Elrod, a professor in the School of Justice Studies at Eastern Kentucky University. Justice Department documents show Lewis was given antidepressant medication in a quantity “that was likely too low to be effective.” He received no other mental-health treatment in jail, DOJ found. The jail’s own inquiry into Lewis’ death, by contrast, concluded that “all operational procedures, medical procedures … were followed professionally and correct.” Nor did the state police or the Department of Corrections find any fault with the jail in connection with Lewis’ death, or that of the other Grant County jail suicide in 2010, involving Derrick Rose. That’s what appeared to have happened in the case of Shannon Finn: minimal if any probing by the Department of Corrections, yet significant revelations come out in court. On March 17, 2009, Finn was arrested and booked into the Warren County Regional Jail for a probation violation. The following day, he began to shake, sweat and act erratically. He was put on a “detox protocol” and given medication for alcohol and drug withdrawal. Three days later, a deputy found the 34-year-old Finn lying in a puddle of blood and yellow liquid in his isolation cell. Soon after, he was pronounced dead. The family filed a civil suit, and a jury exonerated jail staffers at trial. However, U.S. District Judge Joseph McKinley concluded in a pretrial opinion that there was ample evidence of questionable conduct. Among other things, McKinley noted that a jail deputy did not intervene after discovering Finn on his knees, shaking and mumbling. And a nurse neither contacted the jail’s medical director nor sent Finn to the emergency room, McKinley wrote. Despite jail policy that characterized alcohol withdrawal as a medical emergency, deputies had received no training regarding its symptoms and dangers, according to the judge. The department’s listing of jail deaths says only this about Finn: "Found unresponsive–KSP (Kentucky State Police) investigating." Reporter R.G. Dunlop can be reached at [email protected] or (502) 814.6533.